Amy is a Solicitor and Partner at Bennett Griffin and the head of the Personal Injury team which has been recognised for its work in the Legal 500 both in 2015 and 2016. Amy is also a member of the Association of Personal Injury Lawyers. Amy joined Bennett Griffin in 2007 as a trainee solicitor having gained a 2.1 in English Literature at Swansea University before going on to achieve a Commendation in the Graduate Diploma in Law (GDL) also at Swansea University and a further Commendation in the Legal Practice Course (LPC) at the College of Law in Guildford. 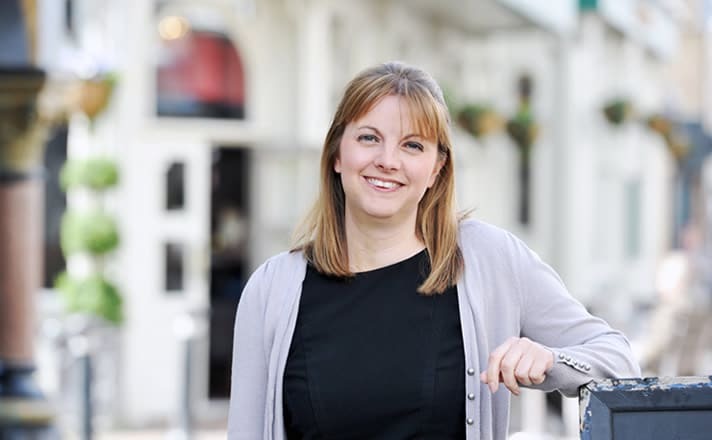 Amy qualified as a Solicitor into the personal injury team in 2009 and has acted on a wide range of personal injury cases since, including dealing with many complex physical and psychological injury claims and securing six figure sums by way of compensation for her clients. In building a rapport with her clients and dealing with each client as an individual and each case with a mixture of tenacity and empathy Amy ensures she achieves the best results for her clients and has been praised by past clients for the support and assistance she has provided throughout the course of their claim. As part of her role within the wider Dispute Resolution department Amy also advises on a range of contested Wills, Trusts and Probate matters including claims in relation to the validity of Wills and Inheritance Act Claims. Having been promoted to Associate Solicitor in 2013 Amy was made Partner in 2015. In addition to her case work Amy is also responsible for Bennett Griffin’s marketing. When not working Amy enjoys sport (both watching and participating) and travelling, having taught English in China for a period and travelled extensively throughout Australia, New Zealand and America.